Electric Mobility Canada, the only national association dedicated to the advancement of transportation electrification, is holding its next annual conference, EV2017VÉ, at the Hilton Toronto/Markham Suites Conference Centre & Spa from May 29th to June 1st, 2017. The theme of the conference is “Smart e-Mobility”. PowerStream is delighted to be the EV2017VÉ host. For many years now, PowerStream has been an innovative leader in electric mobility. 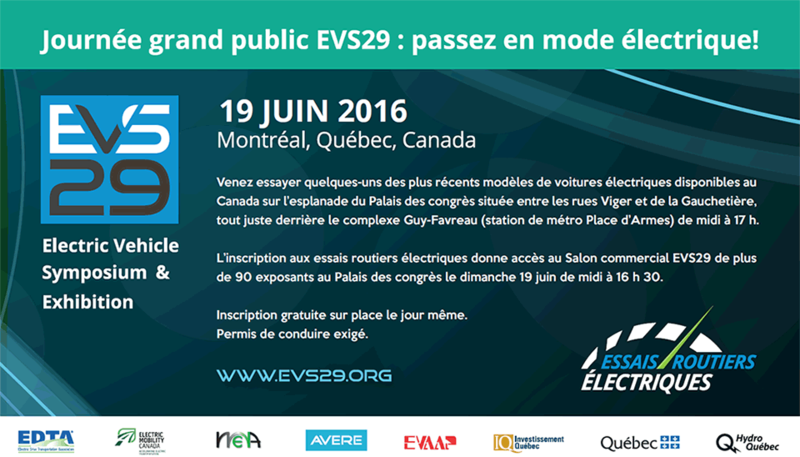 The EV/VÉ Conference and Trade Show is a highly respected event in the electric vehicle (EV) industry in Canada. Our team is already at work to propose the latest innovations and bring together the most prominent speakers to Ontario. Tomorrow’s electric mobility includes the whole electric vehicle ecosystem, including optimal utilization of EV fleets, connected cars, autonomous electric vehicles, smart homes, smart grids, microgrids, smart charging, battery technology and many more revolutionary breakthroughs in mobility. We invite you to join us as a sponsor of this major event. EV2017VÉ is the premiere event in Canada for EV industry networking, business opportunities and exchange of competitive intelligence. Over 250 delegates are expected, representing the industry, energy providers, end users, government agencies and research centres across Canada and beyond. Your sponsorship will put you in touch with key decision makers and maximize your exposure to key stakeholders involved in electric mobility initiatives. Take a look at the various packages in our sponsorship brochure!